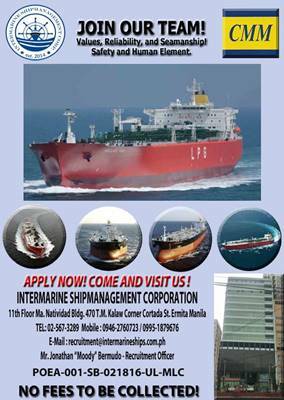 SEAMAN JOB INFO - Intermarine Shipmanagement Corporation urgent hiring need Filipino seafarers crew for join on oil tanker vessel deployment A.S.A.P. - ASST.COOK For CATERING BOY Position. Share to help other seaman looking jobs at sea. Maritime & offshore career. Singapor jobs open to foreigners. New jobs in maritime industry. 0 Response to "Asst. 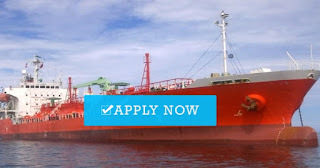 Cook (2x) For Oil Tanker Vessel"